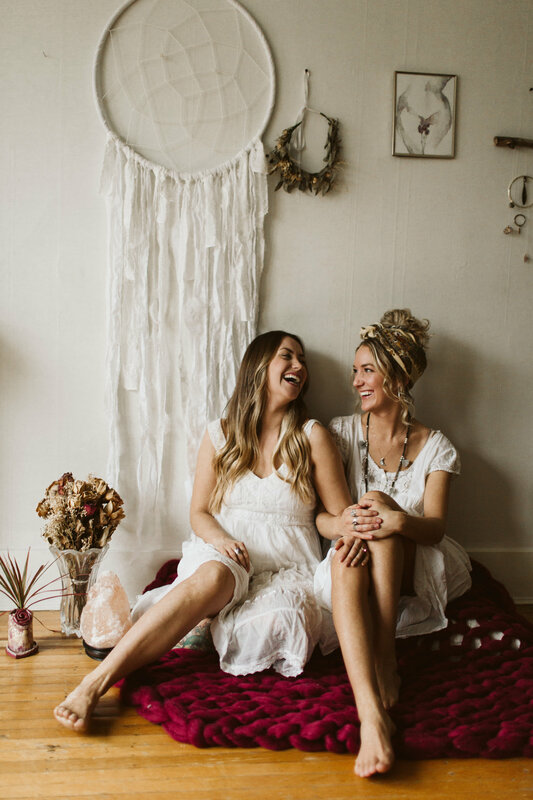 Intentional monthly gatherings to attune + connect us with our feminine wisdom. Honour the ever-changing moon cycle as a mirror to the seasons of our lives. At the Dharma Temple we gather to honor both the dark (new) moon and full moon led by inspiring womxn sharing their strengths and rituals. By connecting to the moon cycles we honor the ever changing landscape of our lives + learn to hold space with grace as we embrace the feminine gift of intuition + flow. Come experience powerful healing as we come together as our ancestry + lineage did, in doing so we remember our creative magic + recognize our similaritity. New Moon Temple and Full Moon Temple offerings are held every month as close to their respective lunar dates as possible. We want to acknowledge that these offerings takes place on the unceded traditional and ancestral homelands of the xwməθkwəy̓əm (Musqueam), Skwxwú7mesh (Squamish), and Səl̓ílwətaʔ/Selilwitulh (Tsleil-Waututh) Nations. Follow @TheDharmaTemple on Instagram to find out about more upcoming offerings + facilitators. This New Moon Temple we will explore sovereignty and freedom through the shamanic shadow work. Learn from goddesses and archetypes, plant correspondences, and via a playful, group led shamanic journey, continue to cultivate the integration of our light and shadow. 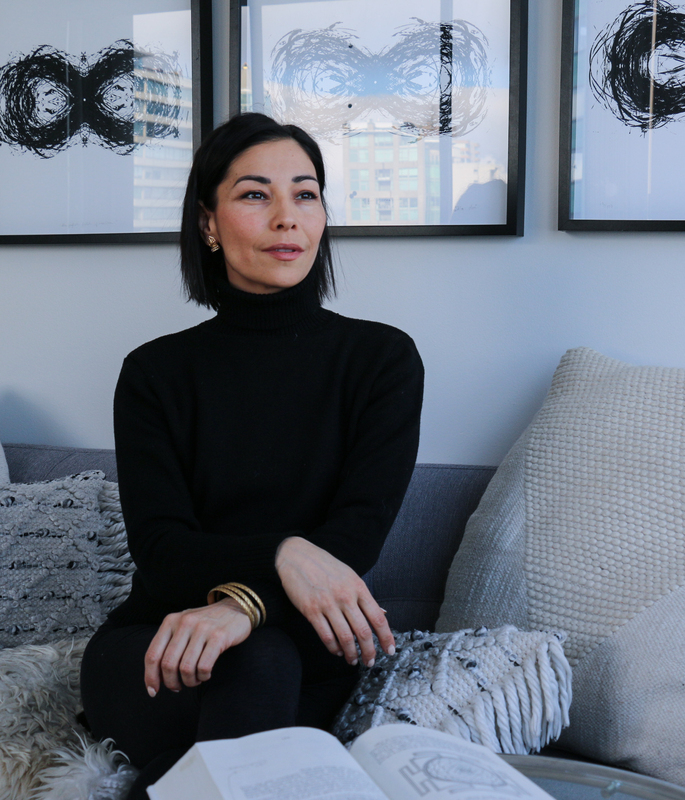 Mimi Young is the founder and plant spirit medicine practitioner of Ceremonie, a ritual-based brand that offers shamanic aura care and skincare and Spirit Medicine Studies. 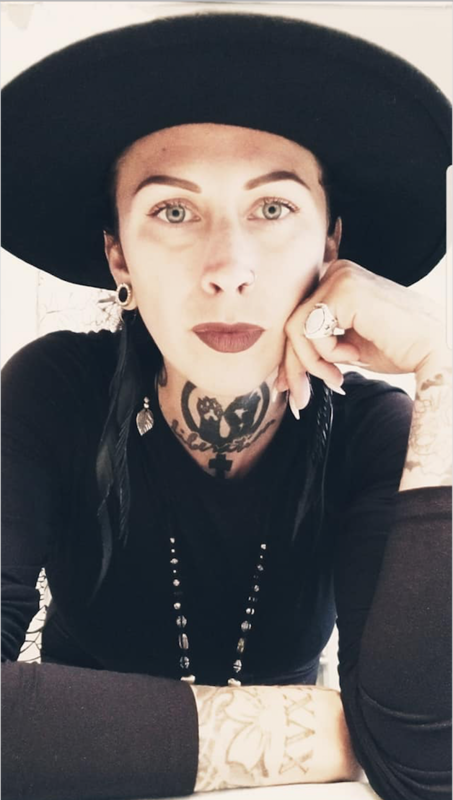 Mimi works with a blend of modalities including core shamanism and botanical healing, hedge magick, and Chinese shamanic practices, with a focus on integrating the subconscious with the conscious, past lives work, divination, manifesting, and divine feminine awakening. Mimi has also recently launched a peak performance business called Open Minds Performance, using neurofeedback to facilitate breakthroughs, release limiting beliefs, and access one’s personal optimum. ** spaces are open for sisters in need of financial assistance. Please email The Dharma Temple if you are interested in nominating someone in need, or you yourself. Adorn yourself in something comfortable that reflects your inner beauty, be comfortable, be you + make sure you can move around. With the support of the new moon energy, Ishta Devi will guide us into breath + meditation journey to our deepest places to source the low vibrational frequencies common in events that cause suffering in our lives. We will claim safe space to look at shadow themes of fear, doubt, shame, malice, the traumas that have ever imprinted our experiences + become the lens in which we perceive reality. These imprints manifest themselves into our emotional, mental, physical, energetic and circumstantial experiences in our lives. With the New Moon energy, we will use a recapitulation process paired guided breath + visualization to remember + remove the harmful frequencies that come between us and our authentic Self. The recapitulation work is the peak practice of Part One of my workshop series, Shakti Now. The understandings + outcomes that come with this work are purifying and transformative. After we remove the negative energy, we will fill the space with self love and occupy ourselves with a greater power + authenticity. Ishta is a First Nations mother, entrepreneur, artist, yogini + workshop facilitator. At 35 realized she had been suffering with symptoms of PTSD for most of her life. Ishta is passionate about sharing tools that helped her heal from her symptoms and lead her in her to embrace an empowered life. When she isn’t art making or doing yoga, Ishta works on projects to empower and uplift women in the DTES. February is a month where we can immerse ourselves in love, and what better way than to love yourself first by understanding the ancient Ayurvedic secrets that connect sensuality + spirituality. This New Moon temple we will explore the sacred wisdom of aphrodisiac, heart opening herbs & spices, learn Marma (sacred energy) points for women's reproductive and breast health. The deepest connection we can cultivate is to the divine within ourselves, this New Moon Temple will give you some key tools to practice daily self care and self love through touch, taste and awareness. Navdeep Gill is an Ayurvedic practitioner, yoga teacher + holistic wellness educator specializing in lifestyle consulting, Marma Chikitsa therapy and foundational Panchakarma body work. 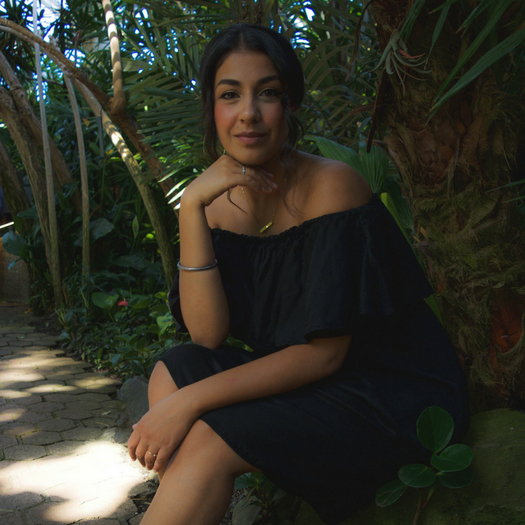 She has been learning + practicing the healing arts for the last seven years and her world is immersed in wellness, higher vibrational living and reviving ancestral wisdom for the present day, especially connecting women to ritual as a form of self care. Her practice Navi Gill Wellness is located in Vancouver BC and she travels globally to educate and work with clients to help them understand their constitution, address the doshic imbalances and create a lifestyle plan that encompasses the authentic teachings of ancient Ayurveda to balance mind, body and spirit health & harmony. A primary focus of her practice is to decolonize wellness by creating community and accessibility to ancestral wisdom for people of colour. Please bring an open heart, a journal and a small jar or container for a blend we will be co-creating. Living deeply + seeing in the dark. Dig into the depths for this December New Moon with resident Ritual Movement facilitator + body consciousness activist, India Dania. Undisguised discussion – aka real talk. Exploration of the sweet + sour of humanness. Permission to be, feel, speak and know what you know. We'll enoy a deep, delicious rest and leave clear, calm + courageous. Please bring an open heart and a journal. New Moon, New beginning. Everytime. Beginners Mind allows for curiosity + wonder. We will observe this through the lens of how we listen on a day to day basis. Many of us have already attached to an outcome prior to engaging in a conversation, we enter into our daily interactions with an already set agenda. What would it be like to listen as though we were not pre-programmed with our response? We will explore the difference between presence & preconceived thought as we come together to honour the clean slate we are presented with. 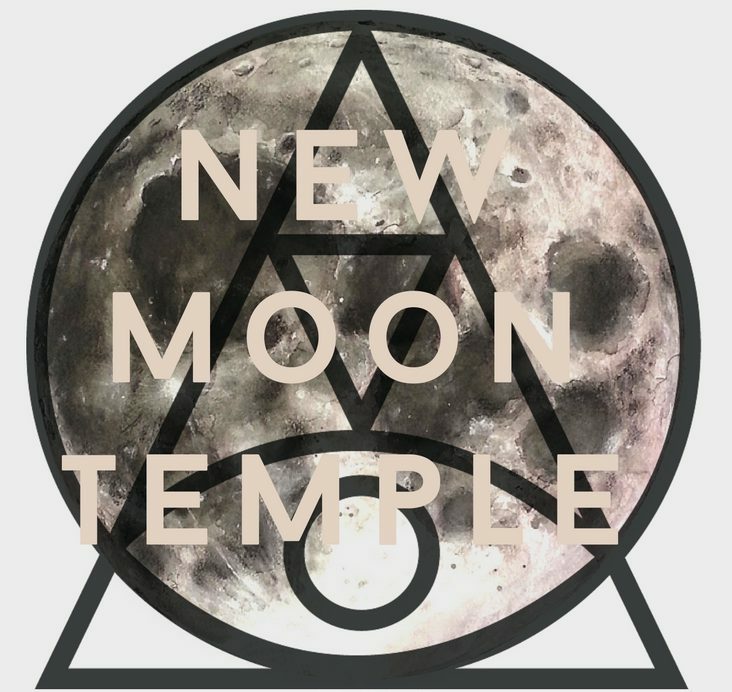 This New Moon Temple will be facilitated by Jordan Daly, an advisor and counsel for growth. She has spent many years building businesses + leaders within them, self- inquiry is the layer guiding her constantly. She works in a number of different capacities, with individuals and companies who are looking to make significant changes which impact the world. As the nights grow darker and the world around us reveals more of the shadows that many do not wish to see, we come together to deepen into the work of the warrior. Working as a community to support one another as we delve into our own innermost shadows, we will endevor to understand this darkness through compassion and self reflection, allowing our hearts to break through the fears that bind us so that we may do the work that we are being called to do. Through sacred song and ceremony, with the help of the ancestral spirits, our guides, and the great Father Fire, our very first Ancestor, we gather to not only let loose the darkness that hides away our most inner selves but to also ignite the fires within our beautiful hearts so that we may step up and become those beacons in the night that our world is calling for. Bring a journal, a drum or rattle, an eye cover if you like for journey work, an offering for the fire, and a cup for tea. If you can, wear something red or black. Mya Wollf, traditionally Pàirteach Mòirneas, is an initiated traditional healer, spirit worker and Animist minister with the northern european tradition of Sagh’ic Tire Dhream. She is also a herbalist, ceremonialist, sacred singer and Outreach worker residing in Vancouver, BC, on the traditional, ancestral, and unceded Indigenous territories of the ʷməθkʷəy̓əm (Musqueam), sḵwx̱wú7mesh (Squamish), and sel̓íl̓witulh (Tsleil-Waututh) First Nations. Here she walks as light of a path as she can as a white settler, and participates as deeply as she can in decolonization and anti-colonial work through the reclamation and sharing of ancestral knowledge and traditional forms of healing. She also works tirelessly in service to her LGBTQIA community to provide safe, accessible spaces for all genders and identities to find healing. She is an active supporter of anti-oppression work, including Indigenous resistance against resource extraction, anti-racist campaigns, wildlife conservation, forest/jungle preservation, migrant and workers rights and animal liberation. Virgo New Moon is a mutable Earth sign, meaning its time to ground back into our Selves + really line up with what we want to invite in. New Moon is a time of spiritual discernment. A time we can take a good honest look at where we are, and dial in a little deeper to what fills us up. Virgo is a sign of connected to healing + service, so we will ask ourselves if we are sharing from a full cup, or if we are needlessly giving of our energy, running on empty, and need to pull back to conserve + rejuvenate. Only you know, and can give yourself the opportunity to decide where you need to invest your resources + focus. On this new moon, SJ @radianceandritual will lead us in meditation, exercises + journalling prompts to gain perspective, increase our vibration to shift out of lack, and re-align with higher knowing. It is a nurturing of our inner power, and cultivation of “spiritual discernment,” so that we can then choose to commit only to things that fill us up. Let us plant seeds for the next lunation, new season etc, from a place of wholeness, integrity + sacredness. May we meet again under the dark moon, call in all parts of our Selves + magnify our intentions through consciousness + sisterhood. This evening will be deep + intense, a reflection of the potent leo energy, so be ready for it – you will receive healing. Join Renu to help you align with your limitless power. To feel your power, you must feel where you are powerless, where you limit or self- sabotage yourself. You will delve deeply into where your unworthiness sits in your unconscious mind and body, and bring it to the surface. Where do you feel powerless in your life? How did that happen? Do you feel passion as a presence in your life that radiates outwards? Do you fully access your spiritual power, strength, and creative wisdom? Do you let yourself shine? Our guide, Renu is a spiritual coach + psychic energy healer whose gift is to work with the brain, body and soul connection on a DNA level to align people to manifest their goals. Renu will guide you through deep meditations, breathing, and sound healing practices that reprogram your brain and work with your unconscious. You will leave with easy practical tools to change longstanding patterns of self-sabotage, and you will receive tips on the actual science behind manifesting. Please bring a journal, as the inner journeying will be important. and tap into the power and innate wisdom we all have. Just as we honour the cycles and phases of our beloved Moon, we too must honour the Shadow and the Light that co-exists within each of us. Recognizing this plays an integral role in cultivating compassion for the entire spectrum of our Being. Although exploring our shadow may feel intimidating at times, it is part of us, and a source of deep intuition and Divine Power. Remember that beneath the surface is the dark and fertile soil that awaits our dream seeds, and the New Moon is the perfect time to plant them. Let us gather with our sisters and remember all that we are. Let us sing, move, breathe, and release what no longer serves us, and access our truest, most radiant selves, and the medicine in our shadow. ** spaces remain for sisters in need of financial assistance. Please email The Dharma Temple if you are interested in nominating someone in need, or you yourself. 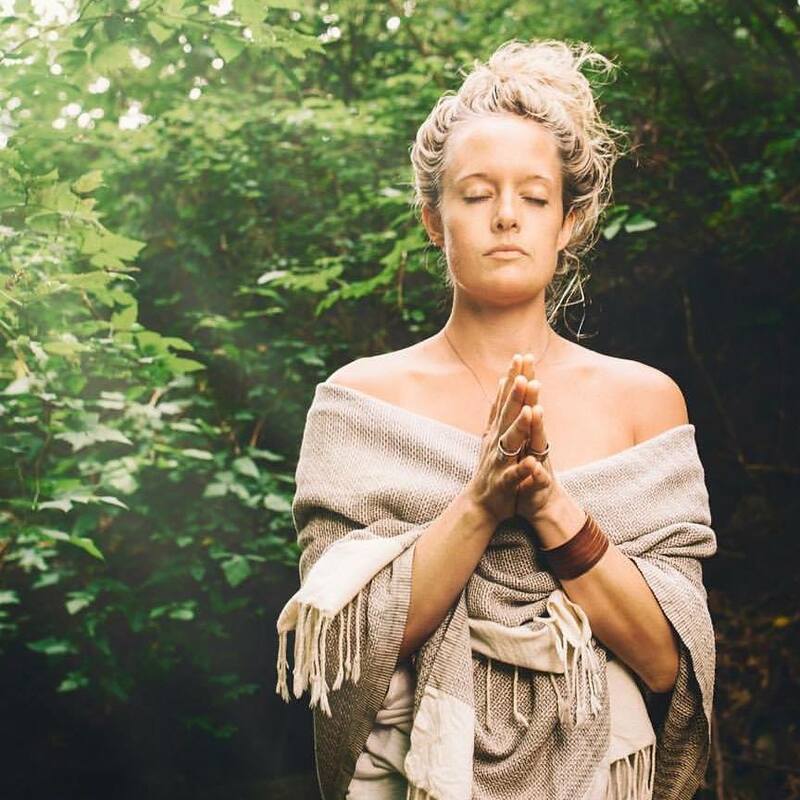 We welcome Alli Shafer back to the Dharma Temple following her journey to the sacred lands of Avalon. Many of us have great difficulty with TRUE receiving. It is our nature as women, to nurture, to offer our very best, our nourishment + love, but sometimes the reciprocity is forgotten and we can find ourselves feeling lost, disconnected + depleted. The New Moon is a time to gather + fill ourselves up. When we come together + witness each others unique presence and voices, we feel inspired and remember our innate connection to the Mother Goddess. When we can drink from the Chalice of Love to receive the Goddess energy that is present in all things, we greater understand our true capacity for love + healing. Please join us for this magickal evening. Join your New Moon sisters with Mara Branscombe for an evening of honouring, releasing + expressing your unique “emotional wheelhouse.” Unearth specific emotional + mind-body patterns that may be overruling your life expeirience. Open to the origins, and gain conscious tools to work with your emotions. 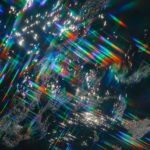 Some of us have inherited ways of coping from our family + society and developed certain habits as protection, it's now the time to become aware and heal these patterns + unconscious behaviors. We can then reclaim our essential signature and empower ourselves to live with freedom, gratitude, compassion and love. As we call in sacred space through movement, breath, chakra awareness, journalling, earth medicine + shamanic ritual, we will open the doors and literally see how our emotional wheelhouse can be refined and attuned to the rising divine feminine inside us all. Let’s celebrate, pray, and hold space for our individual + collective healing at this powerful point in time. ** Participants of CALLING IN SPIRIT will attend this gathering as part of the 4 week program. For more details + to sign up for Mara's progressive, click here. Join Sasha Bahador for what will be a raw + real evening of celebrating the season of OPENING. Break.Through: It is the season where all of nature is shifting from a cycle of breaking-down, to breaking-through, and so must we! In this New Moon Temple, we will dance, sing, drum + journey to conjure our raw power, so that all the gates to our hidden wild can be thrown open! We will listen, pray and take silence to attune to the whispered messages from within, so that we shed doubt, confusion and restlessness! Sasha is a shamanic practitioner & ceremony holder, and has personally steeped in the medicine of these ritual teachings for over a decade. 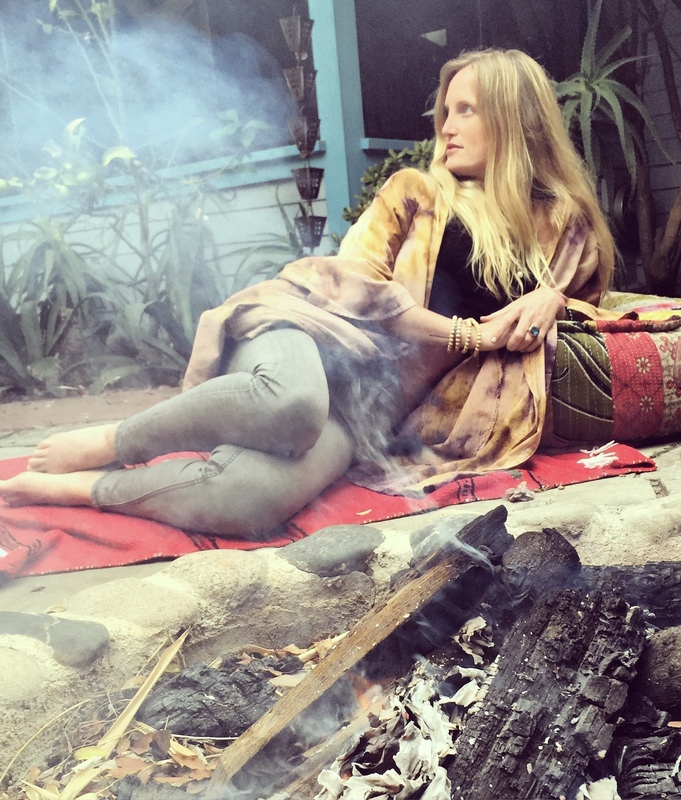 India Dania offers RITUAL MOVEMENT MEDICINE for this pre-equinox clearing + new moon temple. May we move , breathe + remember our wholeness. Experience your sensuality, your sensitivity + self sovereignty. Don't miss this special evening of sisterhood + sacred movement. 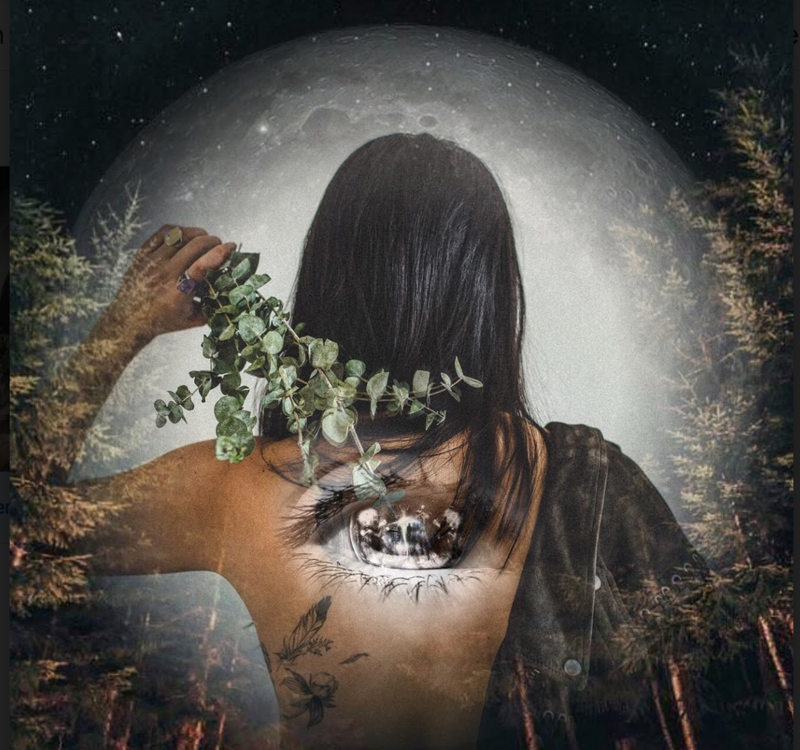 Join us this Aquarius New Moon for an evening of upgrading & connecting to our own intuition to heal our stories and create visions for the year ahead with Natalie Miles- The Psychic Upgrade. 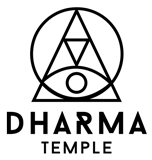 Natalie is a psychic medium whose mission is to support your spiritual journey by sharing with you, The Psychic Upgrade. 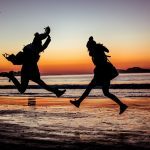 This Upgrade connects you with your Guides – your cheerleaders on the spiritual realm. It guides you, helps you find the answers you seek, and clears any blocks in your way. You will heal the past, and feel a sense of empowerment you once thought was only for others. Using this powerful Aquarius New Moon Solar eclipse energy Natalie will take us on a special upgrade journey through psychic guided meditation, ritual, journaling and messages from Spirit to inspire and connect you with your Spirit Guides and intuition. Your Guides want to bring you everything you desire for 2018 so this is the perfect evening to connect and make them a reality. Join ON OUR MOON‘s Alexandra D'amour and spirit guide Bree Melanson for a night of triple cosmic potency. We will honor the rare occurrence of a Full Moon-Blue Moon-Lunar Eclipse by slowing down, getting grounded, and taking off our masks. There is no greater time to explore the power of vulnerability than when the moon reveals herself fully, only to be eclipsed by earth’s shadow. With the moon as our guide, we’ll explore our own shadows and look into the vulnerable parts of our hearts. In our safe circle of women we will share our stories, see, and be seen. Let us gather in an initate the first moon of the year with an initaition of our Selves! Delve in the mystery and your mastery of the practices that most support and nourish you. SJ co-owner of the Dharma Temple is leading this months auspcision New Moon in Capricorn. Noted for the “Fresh Energy” January brings, this is the perfect opportunity to give our selves some really powerful tools, energetic + physical support and potentially implement new systems so that we may allow ourselves the upgrade we are calling in. The darkest time of our lunar month can be when our deepest work takes place. The new + waxing moon is a powerful time to strengthen our auras + really lean into listening. We will gather in celebration of the new year + acknowledge whats working for us + apply our focus there. The power of our collective electro-magnetic field boosts our intentions + we empower each other through the radiance of our presence. We go through alot as women, but it is A New Day is dawning. The best time to support yourSelf + strengthen our sisterhood is NOW, as there will always be darkness and confusion to face and so we need our courage + our grace to face it + serve. Join us for an sacred evening of connection and remembering our light. Share space as women, to honour our divine feminine experience, unearth what grief lays dormant within us and bring awareness and healing to our hearts. Rachel “RayRay” Ricketts is a grief coach, death doula, yin yoga teacher and founder of loss&found, an organization helping folks minimize their pain and move through grief from whatever life's thrown their way. She believes we all have unearthed grief within us – from personal ish like death, heartbreak, motherhood, loss of identity etc. to the collective stuff like sexism, racism, violence, political strife and natural catastrophes. Through grief coaching, e-courses, workshops, retreats and other tools, Rachel brings forth the unspoken and guides you in honouring and moving thru grief of all forms so that you can best show up for yourself and others, find and thrive in your new normal and live a joyful, fulfilling life. Her offerings are personal, practical and light-hearted (laughter is guaranteed)! This special new moon in Sagittarius we will be guided in moving meditation for the mind, body and soul. Our evening will be dedicated to inward reflection, exploration and heart-opening somatic sequences to help heal whatever painful or conflicting emotions need to shift up and out. You’ll leave feeling lighter, brighter and more empowered to face these traumatizing times and the sometimes heavy heartbreak of the holidays. This Scorpio New Moon brings forth an awareness to the darker aspects that may be ruling our minds and our lives. This is the time between Samhain and Yule where the healing journey moves into the underworld to allow our intuition to speak to us, to accept what our fears and anxieties are and to invite new beginnings and support positive change in our lives. 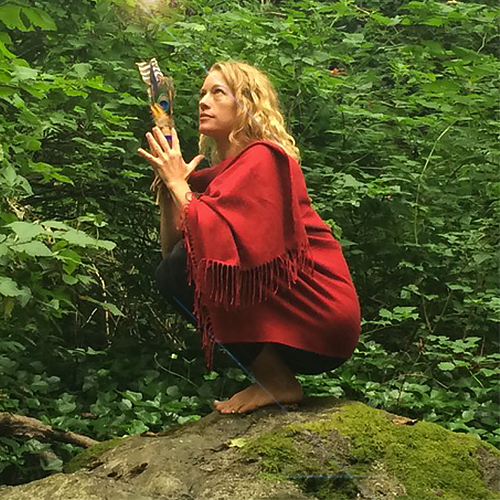 Mara Branscombe is a shamanic practicioner + coach. She is a movement alchemist and leads women's work in addition to being a creative mother + partner. She leans into the practices that allow her to process and stay present for her family + students. Her offerings are deeply nurturing for body, mind + spirit. They allow space for introspection but in a container that is supportive and connective with other participants. Women, join us for an evening of ritual, movement, poetry, journalling, sound healing and journey to the underworld to access the healer inside you. Attune to your mind to unearth thoughts and patterns that may be ruling you, become aware of your fears/anxieties, and use this as material to burn out of you through the art of embodied and guided ritual. Come away from this Scorpio circle with renewed energy, a deeper insight into how you can live with more freedom, and an understanding that as women, we can utilize both our darkness and our light to live the life we dream of. House of Libra. Sacred Dance of the Heart! Chistyn M Hall, international artist (and student of Divinity! ), has come to understand Sacred Dance as a vehicle to learn to listen to the still voice of God inside the heart: the true and real Temple. She will lead us through an embodiment practice to connect us more deeply to our own Innermost Being and especially our Inner Divine Mother, or Divine Feminine Wisdom. This mother/feminine energy is known to each of us differently + intimately. Some may experience the archetypal energy as Devi Kundalini, Isis, Hathor, Mary, Shakti, Durga, Sarasvati, Shekinah or White Buffalo Woman. We may receive profound teachings, insights and comprehensions of various aspects of our lives by moving the way She wishes of us. We can become empowered to move our body in ways inspired by inner promptings vs following an external system (ways that may surprise us!). Above all, Sacred Dance is an invitation to express the joy and profound peace of Divinity. The moon will be transiting the House of Libra through our gathering, which enables us a specific opportunity to amplify and connect to understand the teachings of the House of Libra as an integral piece of our whole Inner Zodiac. The themes for Libra can include forgiveness and mercy, understanding the laws of karma, divine beauty, chastity, balance and how to take care of our precious, sacred life energy. We hope you will join us for a gentle evening of creativity, exploration and sharing! Riding the wave of eclipse season. Annalise Sullivan of Spirited Roots leads our September New Moon Temple. 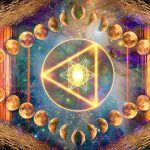 Together we will deepen the release of the Eclipse season and come into intimate activation of our Solar Plexus using the powerful tool of transformational breathwork. masculine to keep all good things in flow. New Moon in Virgo calls us into our instinct, towards the truth that lingers wide awake in our belly. In that meeting place she whispers, dear heart come further with me, let us go into the heart. Take my hand she says, I will love you through. Sasha Bahador is back to hold us in sacred ceremony as we prepare for the changing of the seasons. This last moon of the summer season is a chance to gather + reflect on all the lessons + blessings we have opened to, and witnessed through these summer months. Sasha is a student of truth. A pathfinder and a seeker. 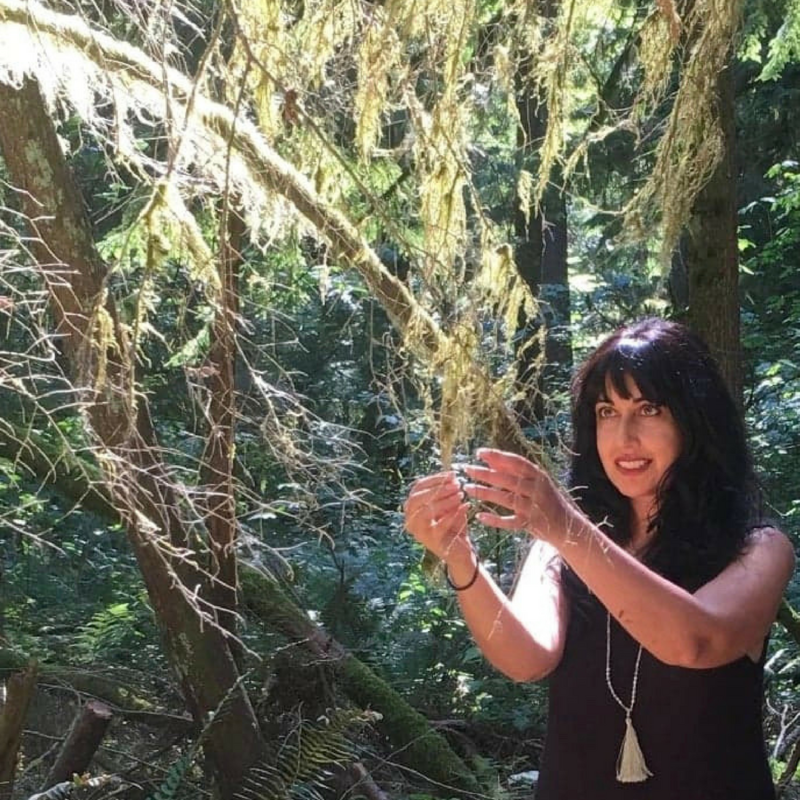 Through years of self study and immersed in practices of the yogis + shamans, she is passionate about facilitating women to return to their innate wild nature. India is back hold space for our circle to conduct the heat on the cusp of this New Moon in Leo. This expressive and passionate moon asks us to step into our greatness. Unafraid of challenge we will step into Leo season together to boldly claim our light + fierce creativity. Join in an evening of radical authenticity, song, creative self expression through ritual movement medicine, and of course harnessing the fire element to burn UP to offer, or burn DOWN to rebuild. HEALING WATERS // New Moon in Cancer. 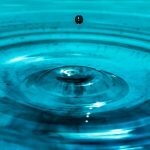 Water Element invocation through ritual, astrology, and Song Circle with Sara Jade + Alli Shafer. 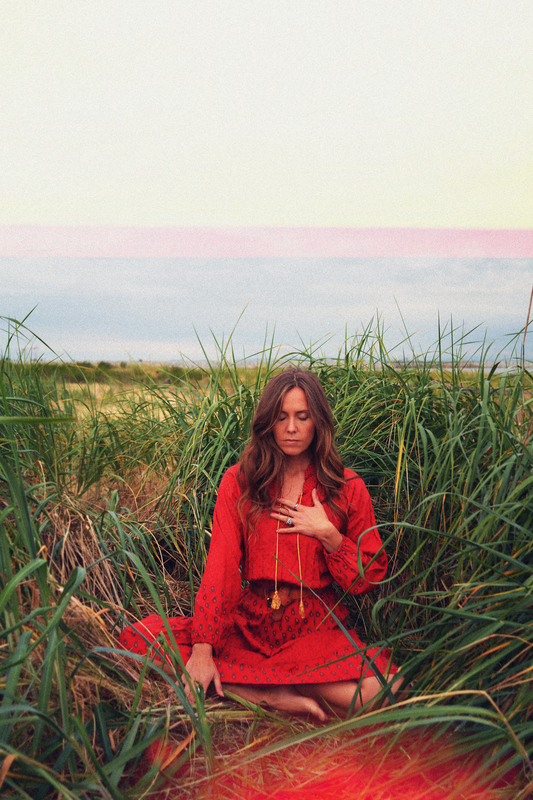 SJ + Alli welcome the Summer season with ceremony honouring this cardinal water moon in Cancer offering fluid movement, healing mantra + intuitive journaling. Sharing celtic spiritual traditions, medicine songs + aquarian technology this New Moon will be an experience to intuit + re-harmonize yourSelf. Steep in the creative essence of this water moon + share your voice as you step into flow with your new moon intentions. Women, let us gather on this Auspicious Eve of the Strawberry Full Moon. The “pink glow” of this full moon in Sagittarius invites us to sweetly support our own process in releasing our fears + our desire to control all aspects of our lives. In letting go we create space for deep listening. The power of this moon shines the light of our awareness into hidden aspects of ourselves, and as we ground into ceremony we transmute stuck or stagnant energy to then witnessing our true strength, our unique gifts + power in sisterhood. Together we will attune to a collective frequency of self love + personal empowerment so that we may serve the highest callings of the heart. 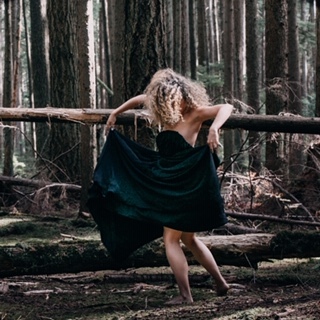 Join Mara to explore the transformative power of Shamanic practices and Goddess Archetypes through movement, mediation, voice, and guided visualizations. All levels are welcome, bring your journal and a pen, and any offerings for the collective altar. Invoke the Muse of your Creative Heart + Mind with an evening of writing, movement & song as we cast a circle of sisterhood under the Gemini New Moon. As an Air sign, Gemini holds a deep intellectual craving to “understand” as She dances and fly’s inside the realms of communication, learning, writing, speaking and the creative spark. With Gemini as our muse, the source + force of expansion who breathes life into all things creative, together we will explore the pathways of possibility through writing, song and movement, observing how these outlets can liberate & cast light upon our hearts & minds. This gathering will be playful, spontaneous and FUN as we invoke the spirit of Luna in Gemini – the Moon Goddess who sets fire to the hearts of all who revel inside the streams of wordsmith through speech, song & sweet love. Simply come as you are with a journal and something to write with. Honoring the first New Moon of the Spring Season in the sign of Aries. Activate your energy through meditation + movement as we welcome this season of renewal and vitality. Reclaim any dormant parts of yourSelf ready to be reborn, renewed and ignited by the fire element of this cardinal sign of Aries, the baby of the zodiac. We will be working with Kundalini Technology so please feel free to adorn yourSelf in White to amplify your aura + natural radiance and bring a scarf or shawl to cover your head. This women's gathering to welcomes the New Moon in Taurus. Seeds of intention planted during this Earth Moon ground our creative vision + aid in our spiritual progress. A gathering for women to embrace, connect and ground into the immense energy felt approaching the full moon. This experience will feature an intuitive yoga flow + restorative practice that will create space for shedding the heavy residue of winter and welcome in the new growth of spring. Delve into writing, communication and creative journaling as a therapeutic practice to free the mind of clutter and listen to the heart. Lovingly facilitated by Jazz Braden + Cori Howard.